There's nothing quite as liberating, smug inducing, as putting in the work before the rewards. 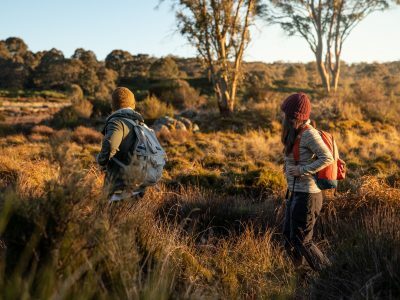 So, run those calories down on a NSW national park walk. Any surfer will tell you the post-surf pie delivers more! So let’s rethink that Sunday Roast. Check out our list of awesome green adventures – all do-able in only a few short hours. They’ll have you adventuring and earning your roast like a champ. 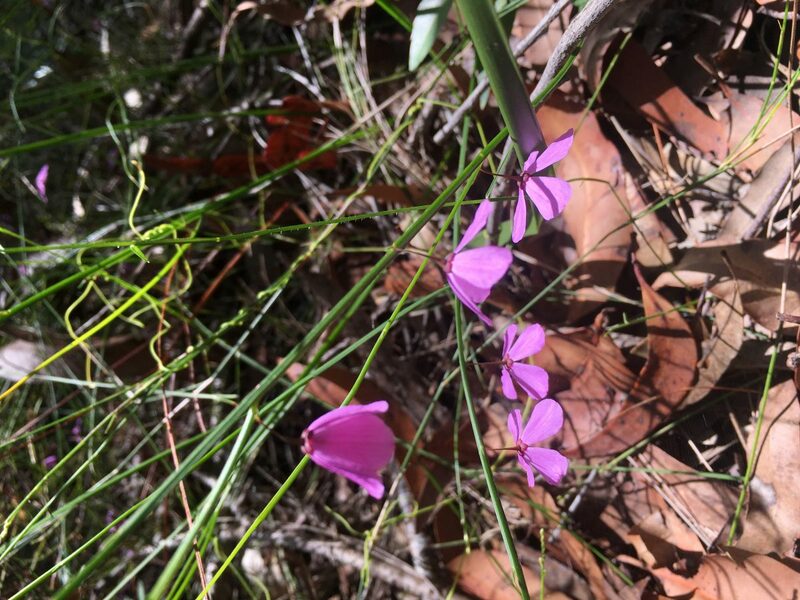 The Glenrock State Conservation Area is known and loved by Newcastle folk. This sweet pocket of littoral rainforests and stunning Sydney blue gums tucked up next to some awesome east coast swell, is just 1.5hrs from Sydney. 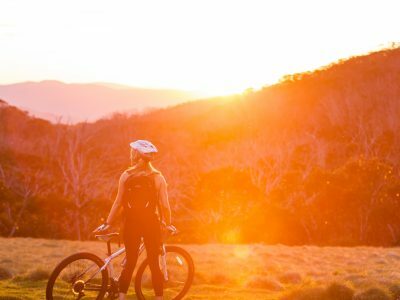 It’s got around 34km of mountain biking trails, along with the Yuelarbah walking track– a park highlight. At just under 7km, this walk will have you moving for 2-3 hrs. Expect short, steep hills and lots of steps. Don’t forget to take a moment to enjoy your surroundings at the Leichhardt’s lookout, which takes in spectacular views over Glenrock Lagoon. During your exploration you will discover the park’s rich cultural heritage. 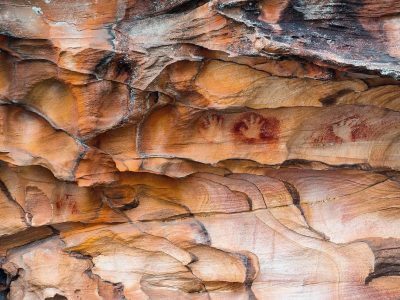 The traditional land of the Awabakal people, Glenrock preserves most of what remains of Newcastle’s Aboriginal physical heritage, including an Aboriginal pathway, shell middens, axe grinding grooves and quarry sites. The park is also home to over 145 historic sites, such as the remains of a 19th century coal mine (Australias oldest) and Australia’s first tram tunnel. 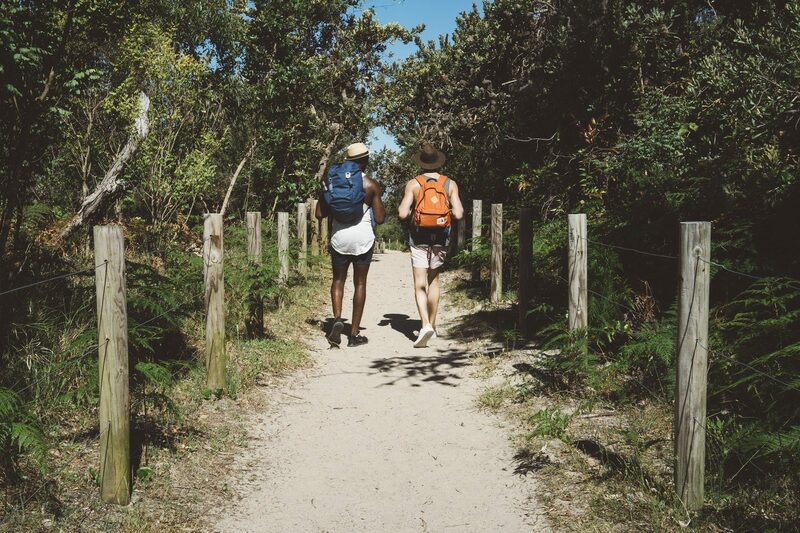 Did you know : The modern day Yuelarbah walking track, where it traverses Burwood Beach, is believed to have been part of this Aboriginal pathway that was a major trading route stretching from Lake Macquarie to Newcastle. 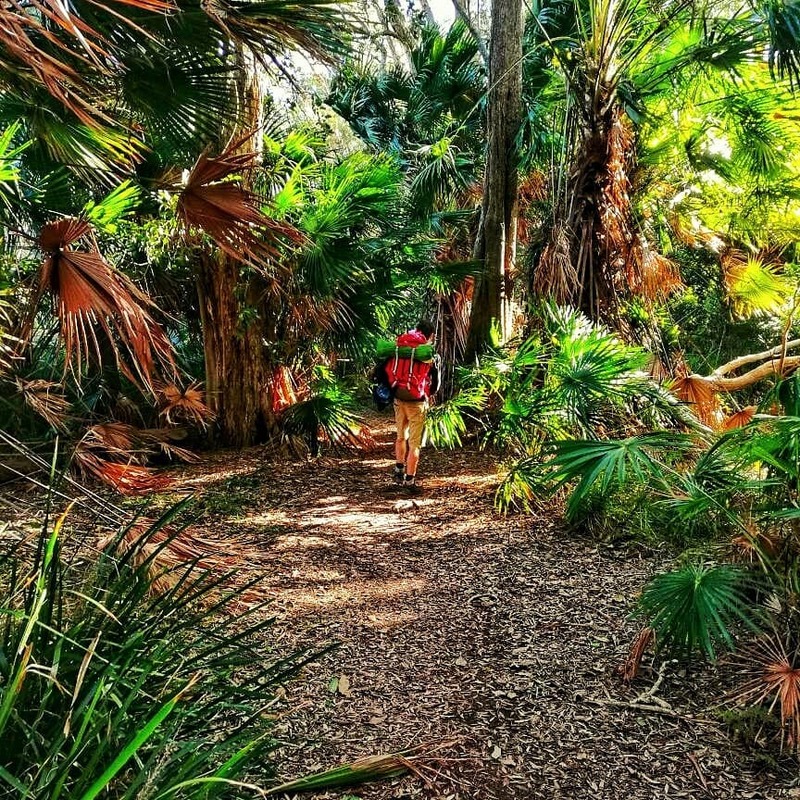 Bountiful forest, not one but two waterfalls, epic lookouts, a boardwalk, some beautiful orchids, a pretty threatened species called Black-eyed Susan and many picnic spots await – so pack some pick-me-ups and water. The track to Flaggy Creek (a distance of 1km) is wheelchair accessible. The Yuelarbah walking track is part of the Great North walk. There’s plenty of walking tracks in this park here. Before you go be sure to check the National Parks and Wildlife Service website – parks may be closed at short notice due to poor weather or hazard reduction burns. A bit further from Sydney, nestled in Port Stephens, is Tomaree National Park and the Tomaree Summit walking track. It’s a 2.2km return trip, steep with lots of stairs… but the views, those views! You’ve walked yourself 161m above sea level. From up here you’ll see all the way out over Yacaaba Head, Cabbage Tree, Broughton Islands, Port Stephens Lighthouse. Sure, you could bring a picnic – there’s facilities at the top – but hot chips won’t be involved. Stay strong! Roast rewards demand resilience. Before you cave, pick up the Fort Tomaree walk at the base of the summit. The fort found here was critical in the defence of Port Stephens during World War II. This walk is a 2.5km, or 1.5hr investment, but it’s guaranteed you’ll come away with more than when you started – and we’re not just talking hunger pains. Stomach screaming? Head into Shoal Bay, take the Shoal Bay Road into Port Stephens where dining options are a plenty. Pro Tip: Check the pub websites first for food service hours and plan your day with these in mind. Many pubs operate a full menu for lunch and dinner, but only bar snacks in between. Unparalleled views of Port Stephens coast line with views of broughton island –including Little Broughton Island Nature Reserve which isn’t open for the public as this 36ha is conserved as it provides important habitat for seabirds. Take care on steep sections of the walk as paving can become slippery. 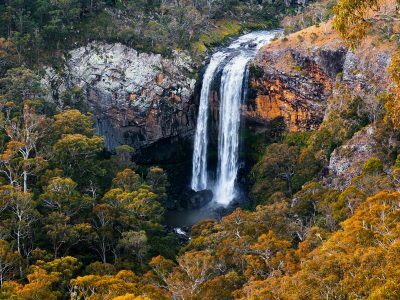 East of Lake Macquarie and just under 2hrs from Sydney, is the Wallarah National Park. 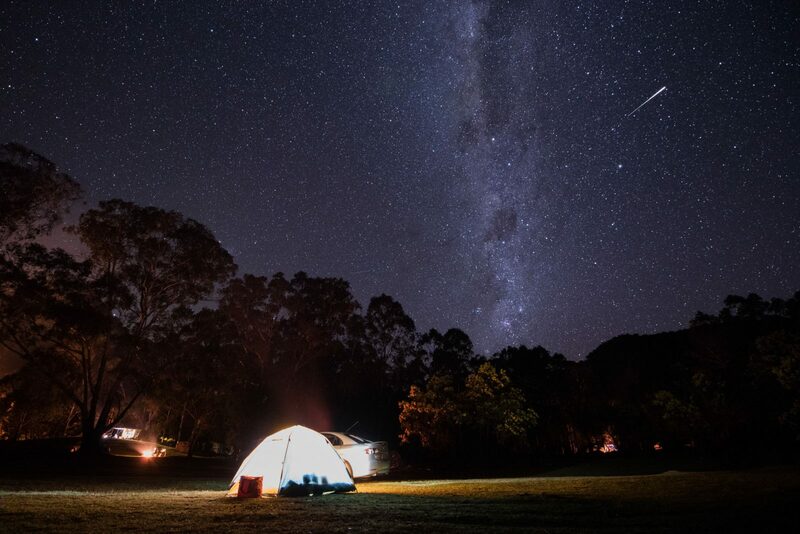 Here you can fish, bike, surf or hike like a boss in the wilderness – all within one hour from Gosford or Newcastle. The Coastal walking track is a 5km return track along spectacular Aussie coastline. Thunderous waves, perilous cliffs and surf breaks to brag about. The pacific wind in your hair… Doubts and regrets blown right off you. You get the idea! Park at Caves Beach carpark and on Spoon Rocks Road – just near the start of the track. Allow 1.5-2.5hrs to hike the trail. When you’re done, shake out the sand and switch to some paddock-to-plate goodness served fresh at the Caves Coastal Bar & Bungalows. It’s all about good times with friends and… truffle fries. Another great option is Swansea Hotel with everything you’d expect from a pub. Otherwise Lake Macquarie has plenty of options to reward yourself. Did you know? There’s plenty of Eucalyptus Haemastoma (aka scribbly gum) in Wallarah National Park. Look to these trees’ white trunks for an intriguing maze of squiggles. These etchings are the handiwork of moth larvae as they tunnel under the bark. Stunning coastal and ocean views. 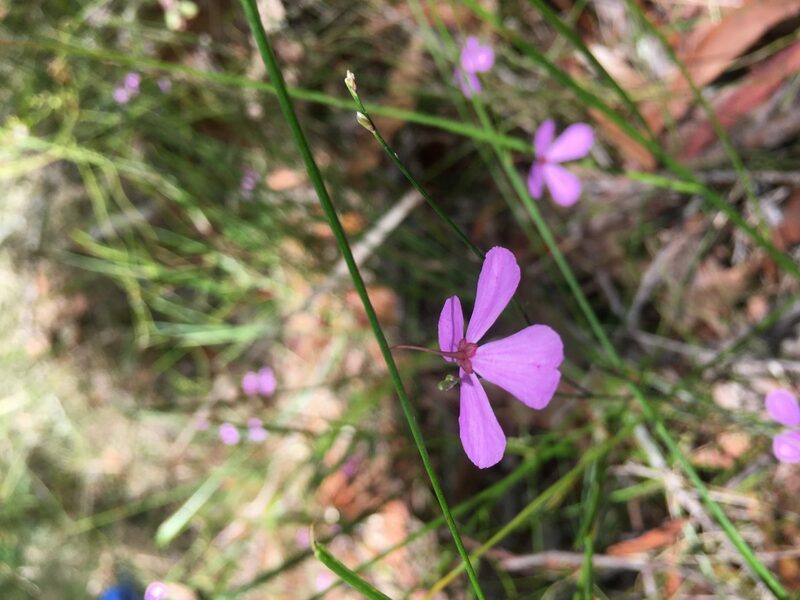 Visit in Spring and see wildflowers in full bloom. Also just under 2 hours from Sydney, Wyrrabalong National Park is another of the Central Coast’s gems. In the northern section of the park the steep and sandy 3.5km Lillypilly Loop trail meanders through lush rainforest. The trail joins the Red Gum trail – an easier 3.4km loop with some short steep hills. Allow 3-4hrs to walk the two trails. Both serve up delicious scenery – huge cabbage tree palms, vine covered foliage, birds, butterflies and brilliance. Fresh forest air. The Sydney red gums, with their bulging limbs, challenge you to a wrestle as they tower above the trail. Don’t miss the lookout – fab views over Tuggerah lakes. Did you know? The colour of Sydney red gums changes seasonally throughout the year. In summer expect a searing orange. In winter, a gentler pinkish-grey. 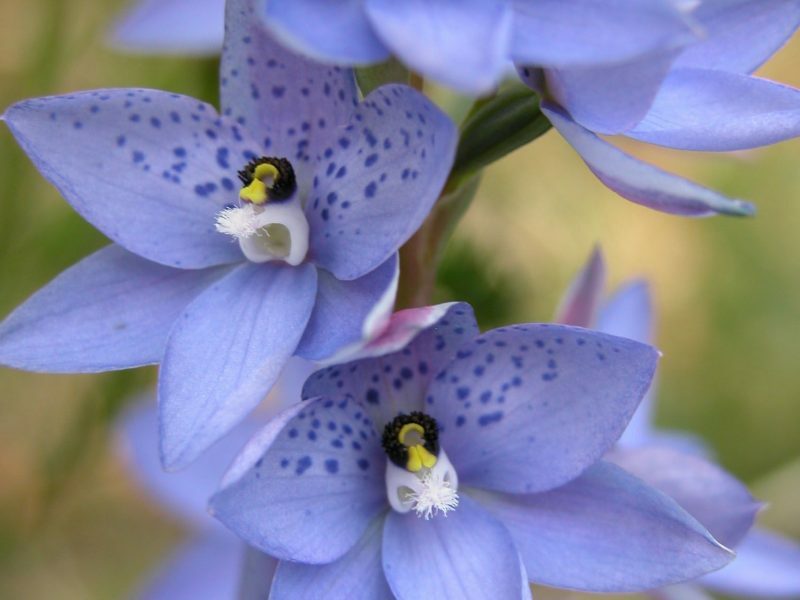 Visit in December to see these magnificent natives adorned with white blooms. In the southern section of the park, take on The Coast walking track – a 3km one-way (1.5 hours) or 6km (double it!) return hike between Forresters and Bateau Bay beaches. Wander along clifftops, whale-spot May through to November . Feel small alongside the vast South Pacific. Time here for a pause… lunch anyone? 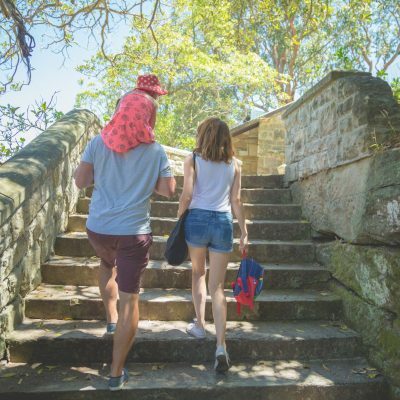 The park is top and tailed by Norah Head and The Entrance, both offer great food options. Some ideas: for eats heading south try The Entrance Hotel in… The Entrance. Or the Long Jetty Hotel down the road at… Long Jetty. You’ll find more ‘boss’ burgers here. Heading north, try the Norah Heads Bowling & Sports Club or ‘Sporties’ – eat, drink…bowl. Win! With your mind, body, spirit and stomach now taken care of, we’re betting the best sleep ever awaits. Enjoy. You’ve earned it. The park is home to the Central Coast’s largest remaining stand of coastal rainforest. Plenty of wildlife and bird watching opportunities.